OUR PRICE: $21.97 - Join Rewards Get $1 Dance Dollars On This Item! 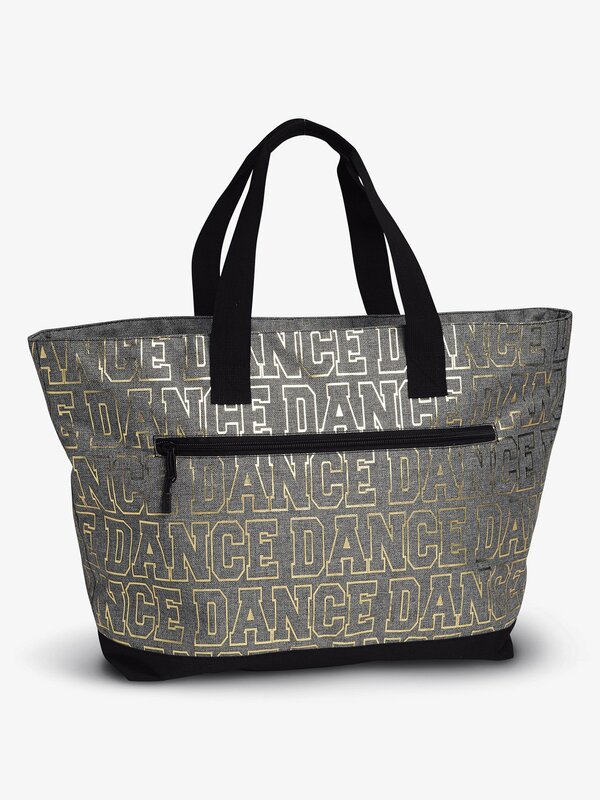 Oversized, trendy dance tote features a zippered main compartment with a large outside zipper pocket and gold foil "DANCE" screened on front. Includes 2 handles for easy carrying and water repellent inner lining. Also available in duffle size. Size: 21" x 10" x 10".